Sherine is the elegant powerhouse behind all the beautiful fundraising galas in London for the Chain of Hope Foundation, and her own generous contributions have helped heal children from all around the globe. Nassif, is the youngest scion of the Sawiris family and the head of Orascom Construction Industries (OCI), one of the largest nitrogen fertiliser producers in the world. In addition to being the head of OCI, his holdings include stakes in Lafarge Holcim and Adidas. The jet-set couple exudes charm and style, and are great parents to their four beautiful kids. Goya is an Ecuadorian beauty who runs her own company, Malaika Linen, which produces top quality linen using the best Egyptian cotton. 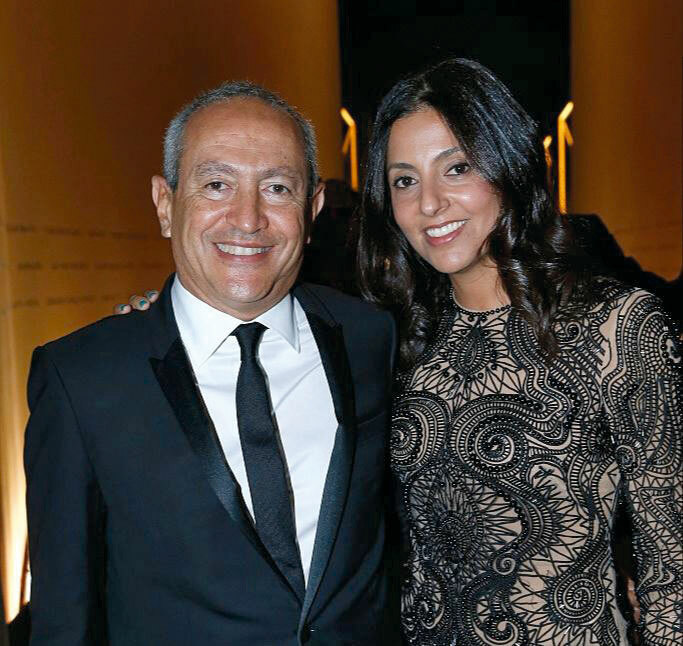 Samih, one of three sons of the business mogul, Onsi Sawiris, heads Orascom Hotels and Developments, which builds and operates hotels in Egypt, Montenegro and Switzerland. You can catch this power couple at international galas from France to Italy and, of course, in their beautiful resort town of El Gouna. 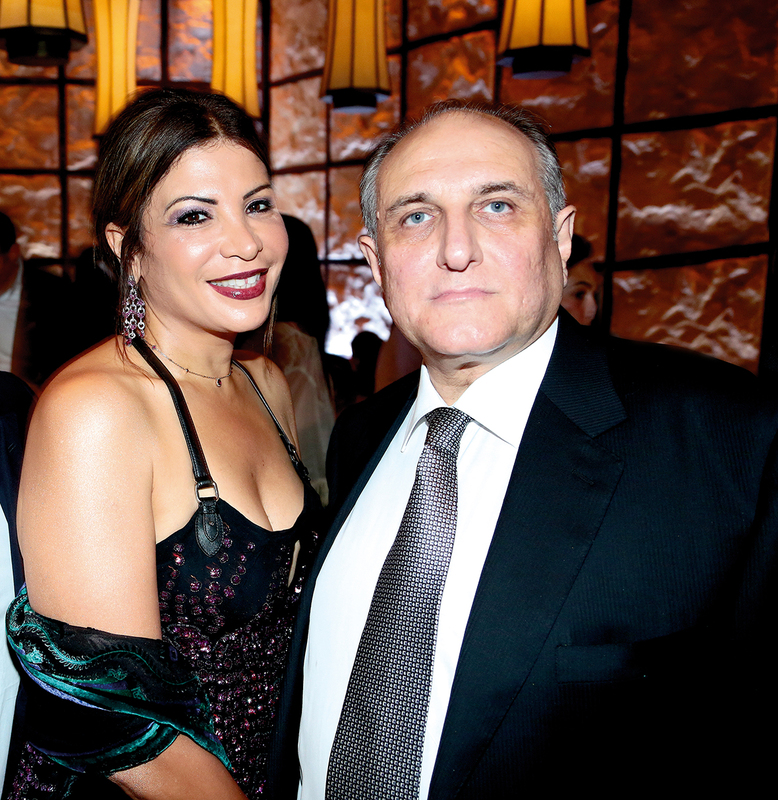 Dora is the head of interior design at Travco Group and the owner of the Tiffany jewellery boutiques in Egypt, while Hamed is the Chairman of Travco Group, the owner of the international Steigenberger Hotel Group, and is a member of the Supreme Council of Tourism and the Egyptian Hotel association. This jet set power couple is beloved around the world and the two are great parents to their two equally amazing kids. Mai is a talented interior designer who runs her own furniture company, Elements, one of Cairo’s hottest spots for sophisticated and stylish furniture; while Ahmed is the founder of Qalaa Holdings, the leading company in energy and infrastructure in Africa. 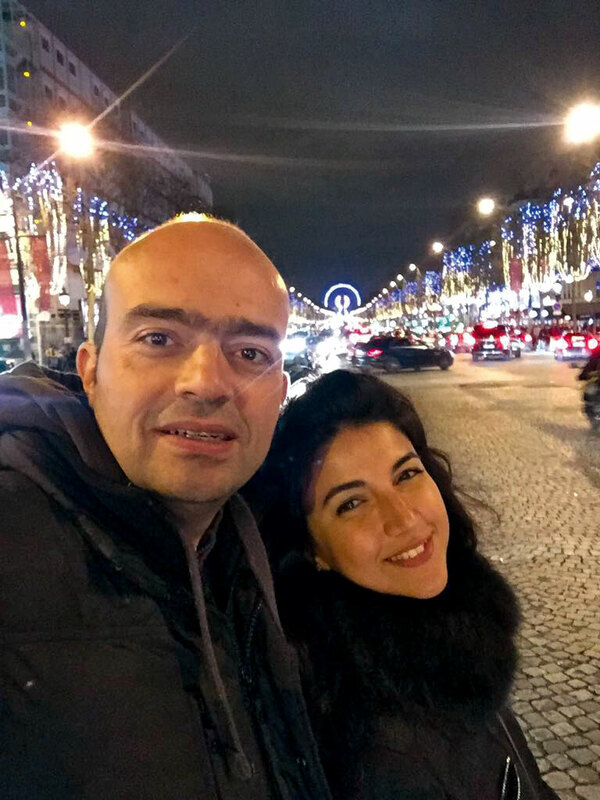 Although they prefer to be low key, this couple is a staple in Egypt’s high society and they travel the world for their exciting careers. Neemat, a graduate of the KLC School of Design, is an independent interior designer. She lives in the UAE with her husband, Mustafa, the Managing Partner, Global Head of Private Equity and Executive Board member at Abraaj Group. This truly jet-set couple makes time for their kids and their friends, and knows the secret to working hard and playing even harder. You can find them frequenting the top parties around the region and the world. Farida is a high powered business woman who knows how to juggle her busy life. She is the Vice President for Corporate Finance at Oriental Weavers, the renowned carpet company established by her father, while being a super mom and an active philanthropist. Her equally high powered husband Basil, is the Chairman and CEO of Carbon Holdings, a large petrochemical and industrial company. As they often travel for work and fun, it’s hard to pin this couple down. When home, they enjoy spending time with their beautiful son and hosting gatherings for their close friends and family. Dima is the designer behind her own sophisticated jewellery line named ‘Dima’ as well, whose jewels have been worn by celebrities and royalty alike. Her unique designs have cemented her as Egypt’s go-to celebrity jeweler. Her husband, Mohamed is a famous entrepreneur with businesses all across the globe as well as in Egypt. You can catch this dynamic couple at home with their kids or in the world’s hottest spots. Rania is the Chairman and Managing Director of HIP Fashion Stores and is the ultimate modern day businesswoman and mother. 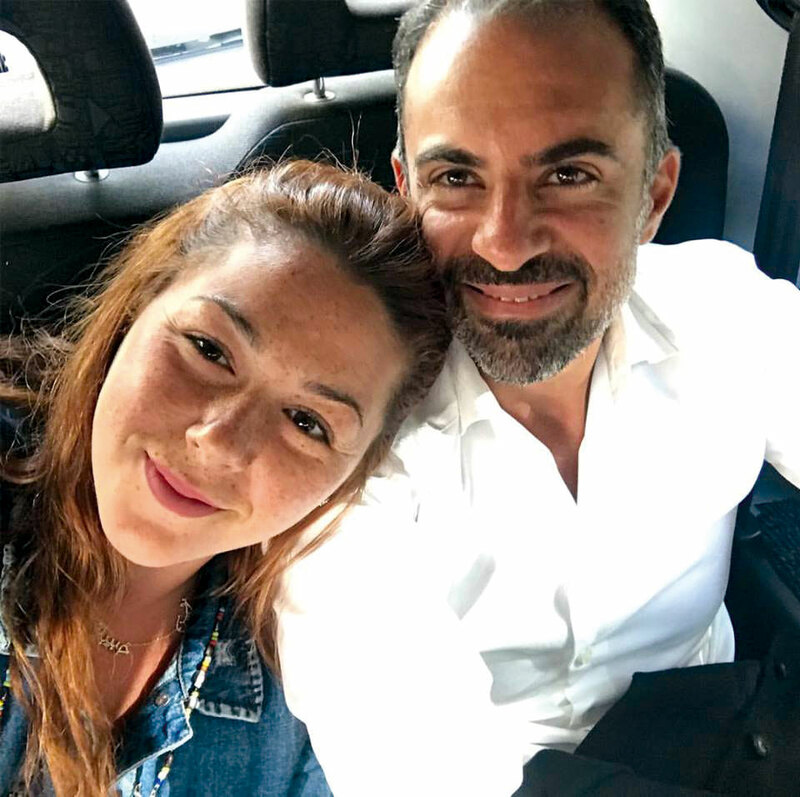 She is supported by her charming husband, Mourad, the successful entrepreneur and co-founder and Chairman of Deyafa, the food and beverages company behind some of Cairo’s most successful restaurant ventures, such as Abou El Sid and Tabasco. Together, this dynamic power couple are great parents to their three kids and great friends to their extensive social circle. Probably the city’s most invited couple, when they can break away from their busy schedules, you can find them at the best weddings and parties in town. 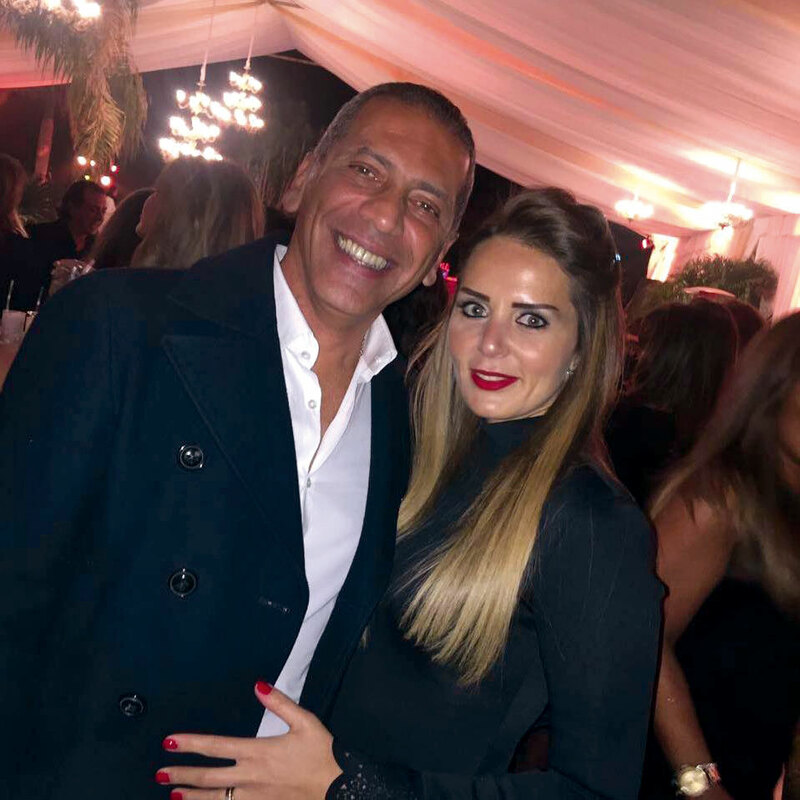 Tabea is a talented artist and interior designer who is passionate about the art scene in Egypt, while Amr is a high flyer who is the Managing Director of Abercrombie & Kent in Egypt, a leading company for luxurious travel around the world. Although they are doting parents to their young kids, they still find time to host fabulous dinner parties at their beautiful home and attend exclusive events around the world. Ana Beatriz is a Brazilian supermodel who has made multiple appearances in the famous Sports Illustrated magazine, and is also a former Victoria’s Secret model who modeled for countless international fashion brands. 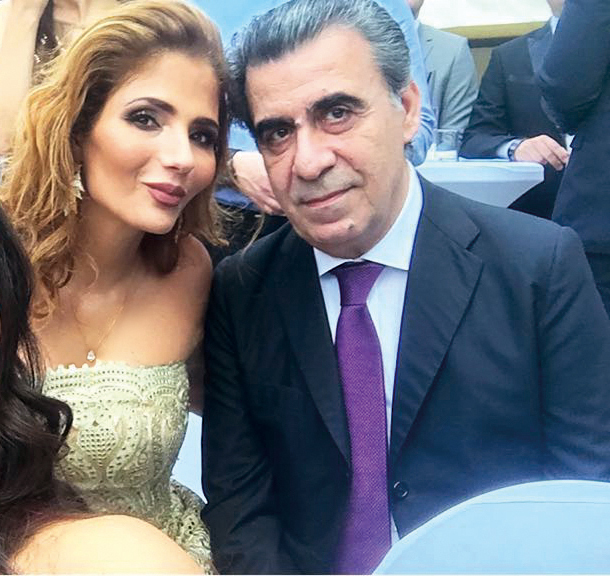 Her husband, Karim is the scion of the El Chiaty family, the power house behind Travco Group International Holdings and serves as a member of the board of directors for the family business. This stunning jet-set couple recently welcomed a new baby boy and continue to generate a buzz wherever they go. Sara is a fabulous fashionista and the co-founder and managing director of ETC, while her husband, Rahim, is CEO both at the Dubai-based company, Global Reach and at the Information Technology and Services Co. When this jet-set stylish couple isn’t attending the trendiest bashes in the city, they are throwing them or traveling the globe. Ghada is the PR guru who is famous for her amazing hospitality and style, while Osman is the high powered CEO behind the telecommunications giant Du. 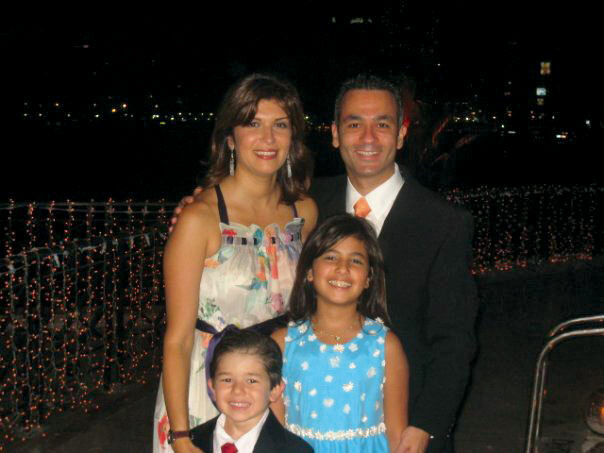 Although they are now based in Dubai, this couple often jets back to Cairo with their kids to visit friends and family. When they are not in town, you can find them at Dubai’s hot spots and glamorous events. Nora is part of the family business which includes prestigious holdings like the Four Seasons Hotel at First Residence and the First Mall in Cairo. Her husband, Waleed is Managing Director at Nile Holding, his family’s business. 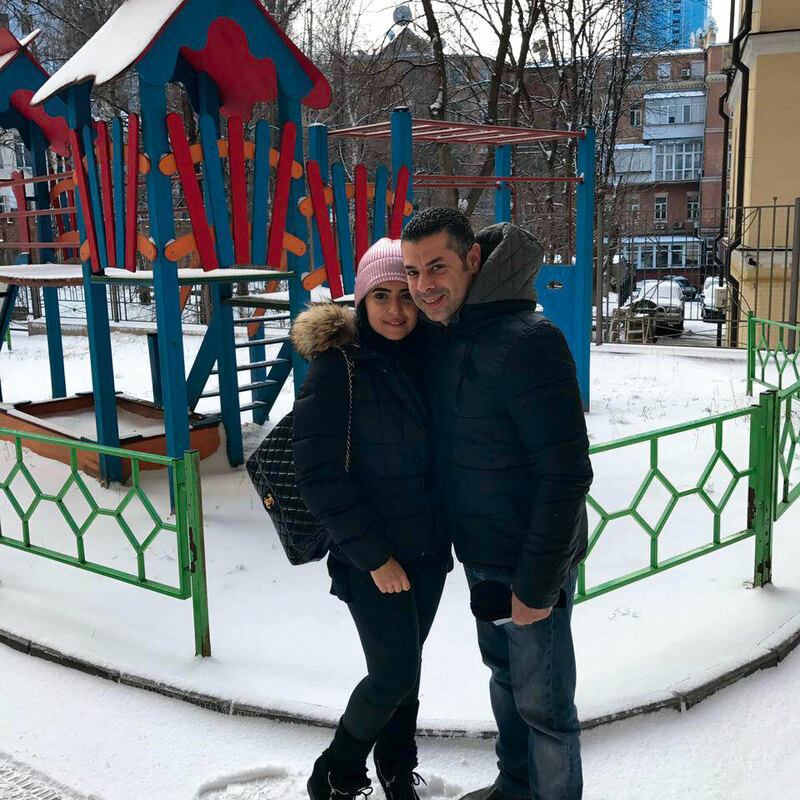 This lovely jet-set couple are also great parents who love to travel, but when they are in town you can find them dining with friends or attending Cairo’s coolest parties. One thing is for sure, this dynamic pair is always on the go, traveling around world; so it is hard to pin them down. 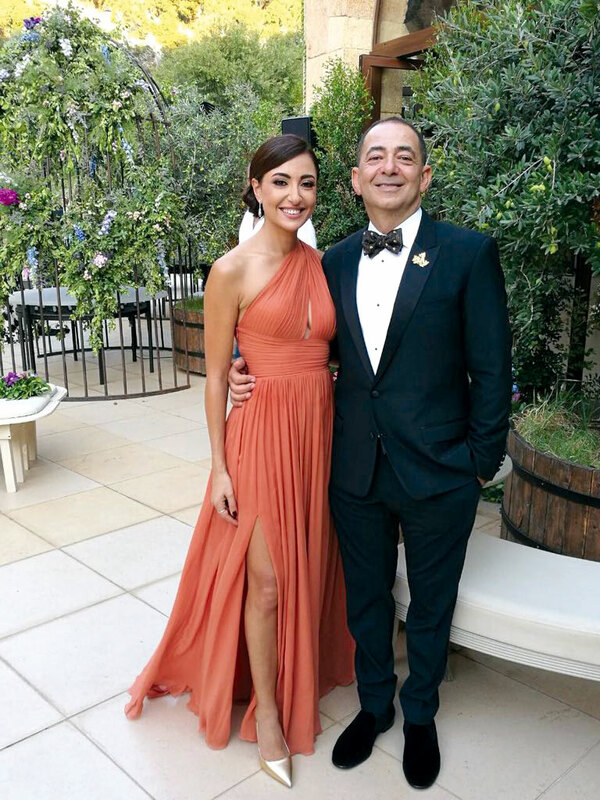 But when they are in town, Dahlia is spreading love by raising awareness about autism, while Kamal, a University of Chicago graduate, is an investor in the stock market and works in private equity. Despite their busy lives they still manage to be great parents and are the life of the party wherever they go. Ola is the head of Oryx fashion Holdings, Beymen’s sole partner in Egypt; while Hisham is the co-founder and managing director of Qal’aa Holdings and the founder of AUC’s El Khazindar Business Research and Case Center. 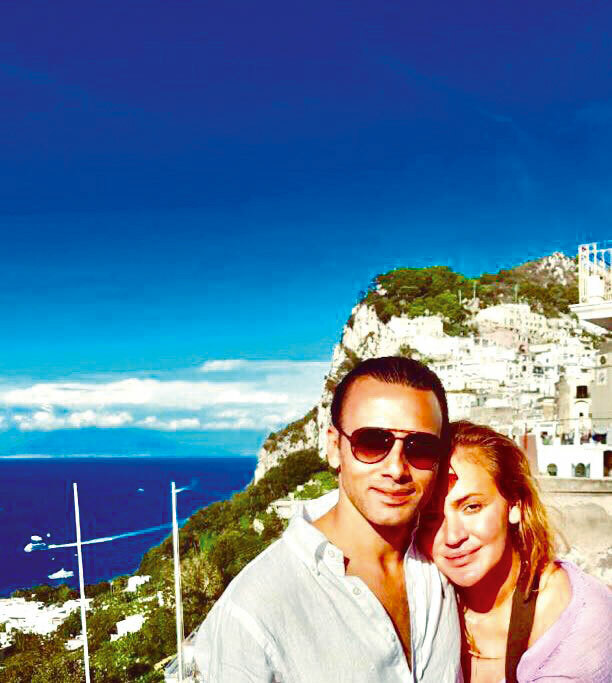 This jet-set couple, adorable parents of two beautiful kids, are truly one of Egypt’s crème de la crème. Nardine is a busy and multi-talented presenter and actress, who often jets off to Beirut and Dubai for work. She is currently the host of the popular talent show The Voice Kids, and is a super mom to her two beautiful daughters. 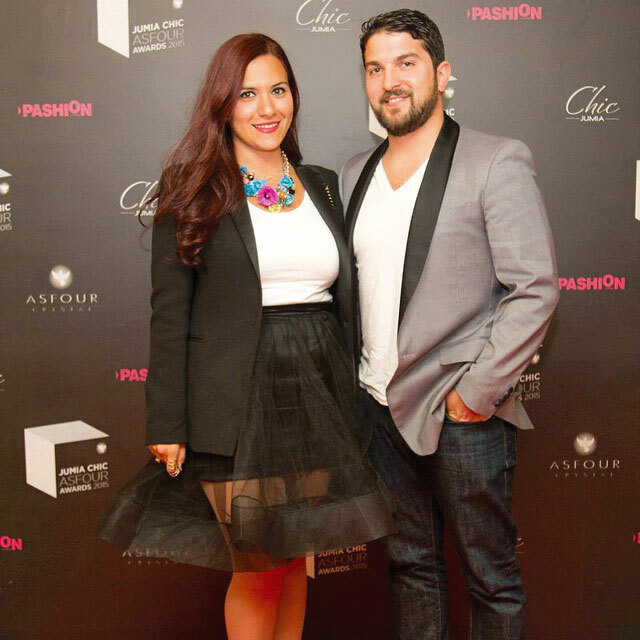 Her husband, Karim is a successful entrepreneur and the CEO of Glitter, the trendy accessories company. This power couple manages their busy lives by always supporting each other, being there for their kids and, of course, having fun with friends whenever they can! Masha is active in her family’s business, the Shobokshi Group, which specialises in contracting and engineering construction in Saudi Arabia and beyond. Her husband, Alaa, is at the helm of Citadel Capital SAE, a leading Middle Eastern Company which deals with everything from energy and cement, all the way to agri-foods. These two are loving parents and philanthropists who love to enjoy life and always make time for their friends and family. 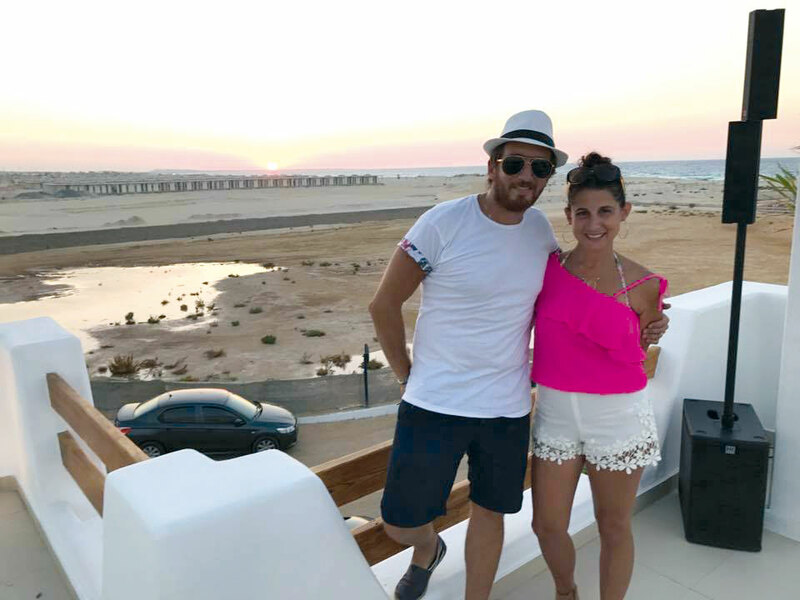 Ghada owns Rebel InStyle, a successful fashion and retail company which sells funky and sporty clothing, while her husband, Amr is very busy as owner and General Manager of The Studio Advertising Agency. This social and fun loving couple adore spending time with their children and their close friends, yet also find time to advocate for children with special needs; proving that they not only care for each other, but for the world as well. Omnia is the fierce entrepreneur behind Omni’s, a line of intricately designed handbags that has a cult following with the urban crowd in Egypt. Her husband is the owner of the Ezz El Arab car dealerships, which sell Cairo’s most exclusive brands like BMW, Jeep and Volvo. When they aren’t dominating their respective fields or spending time with their children, you can catch this stunning couple at the trendiest events around town. A former Miss Egypt, Karine is a beauty and a go getter. You can catch the talented presenter on the popular talk show Set El Hosn (Fair Lady), while her husband, Karim runs the Egyptian Automotive & Trade Company (EATC), the official importer for AUDI and Volkswagen cars in Egypt. Karim is also an Instagram sensation due to his stylish swag and trendy lifestyle. Not only does this couple look good together, they have an adorable family who is as fun loving as they are. 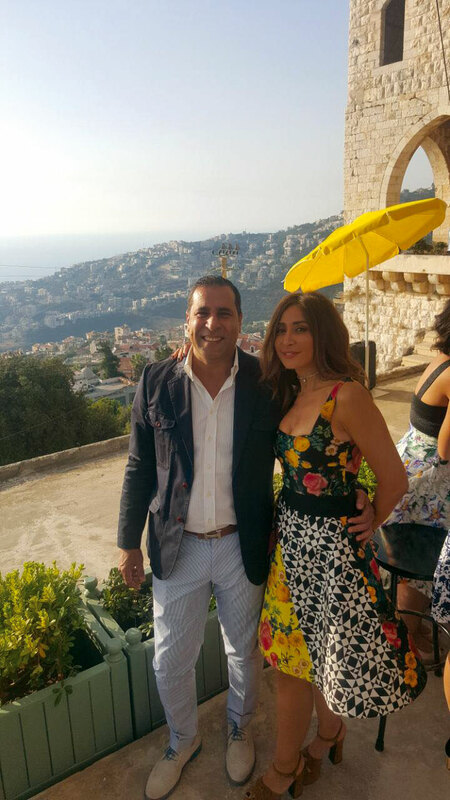 Nadia is Events Director at Marakez, a leading real estate investor in the Middle East, while her husband, Mohab, is Vice President at El Mansour & El Maghraby for Investment and Development. This beloved couple always put their kids first, and love to escape on family holidays whenever they can. When they aren’t lounging on the coast of Italy, you can find this dynamic duo at the hottest parties and events in Cairo. Rania is a busy mama with her own trendy bag line, called Ron’s Bags and is also the managing partner of Biscato, a staple in the Egyptian food industry. She is also a doting mum of three who loves meditating to keep her balance. Her hubby, Sherif is the owner and managing director at Samad Misr (EgyFert) S.A.E., the famous Egyptian fertiliser company. 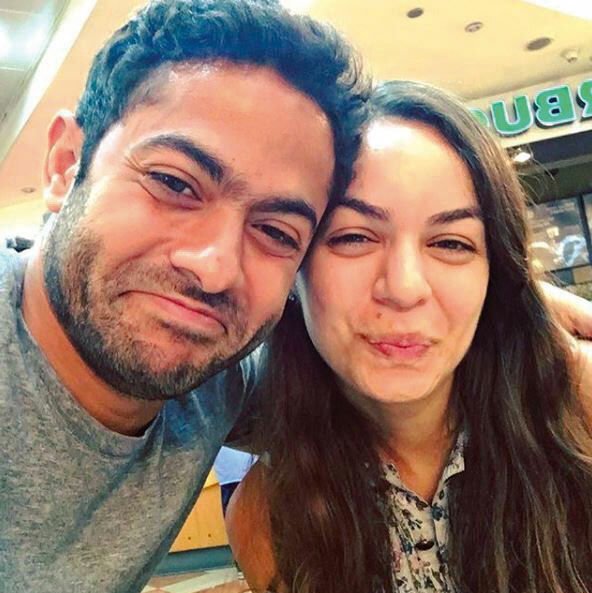 This hip power couple loves to travel and are often out and about at Egypt’s finest spots. Noha is one busy working mother, who is a psychologist at her clinic during the day and who is busy with her beautiful kids after work. Ibrahim, is the Chairman and CEO of SMG Engineering Automotive Company, a member of the board of directors at Mercedes Benz EGA (Egypt German Automotive Company) and Global Napi Pharmaceuticals. 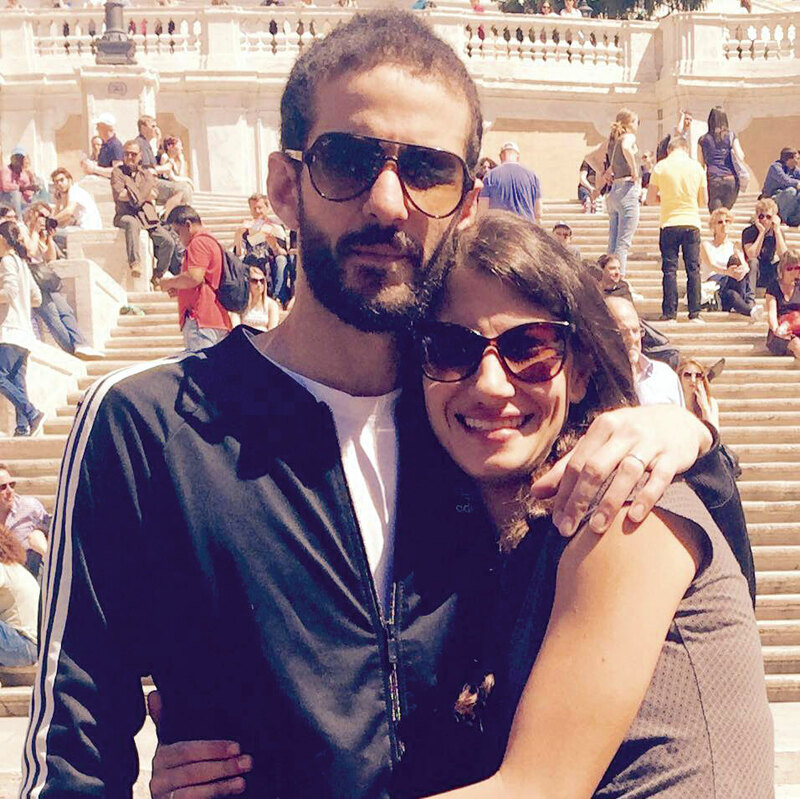 You can bump into this hot couple in Cairo and LA’s hottest venues. Ahmed is the Managing Director of El Rashidi El Mizan, the leading producer of confectionary goods in Egypt and the Middle East. His fun loving wife, Sanaa, is a busy mum, fashionista and a supporter of many charities. This couple are great parents to their kids, while always making time for their friends and are so fun to be around. 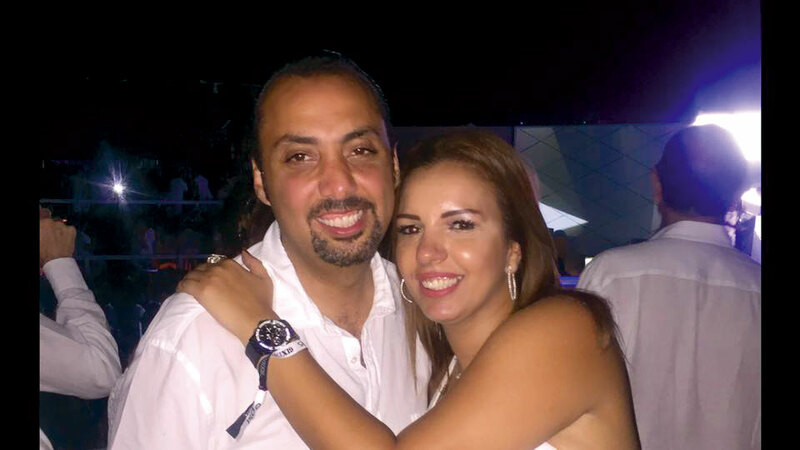 Jessica is a beautiful artist of Latin American origin, while Nader is an entrepreneur heavily involved in his family’s business, including several large hotels and projects in Egypt’s Sharm El Sheikh region. This ultra stylish couple love taking care of their adorable little girl, who often accompanies them on their trips around the world. The beautiful Zeinab is an awesome mother, famous for her style and for her amazing hospitality. When she isn’t being a supermum, she is her husband’s back bone and best friend. Hafez is the Chairman and CEO of Cairo Group, the leading real estate and hotel development company behind the luxury chain of Rixos hotels. Together, this couple is the most gracious host and great fun to be around. Eman and Shamel are college sweethearts who have created an amazing family and home together, and their flame burns brighter than ever. Shamel is the CEO of Compass Capital, a flourishing private equity and investment banking firm, and Eman is a dedicated and fun loving mother to her little ones. You can find them in Palm Hills or at Cairo’s best private events. Tina, along with her sister, is the beautiful co-founder of stylish and popular jewellery line, Tash Jewellery. 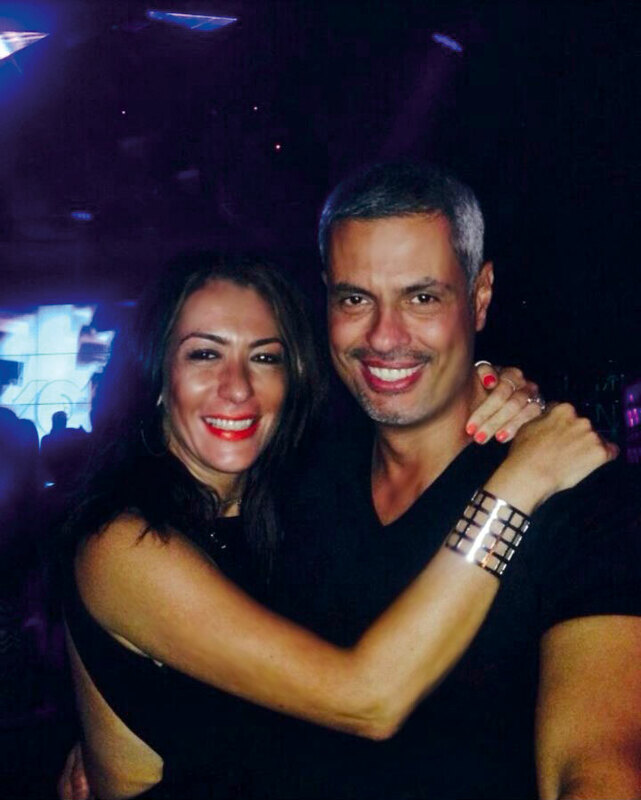 Ayman is the leading entrepreneur behind the hottest nightlife spots in Egypt. The Founder of Baky Hospitality, he is the brains behind several restaurants, including SACHI and Kazoku. The couple are also busy parents who somehow are also able to maintain a great social life! Yara is an adorable fashionista who is passionate about her charity projects and is a devoted mother to her little ones. 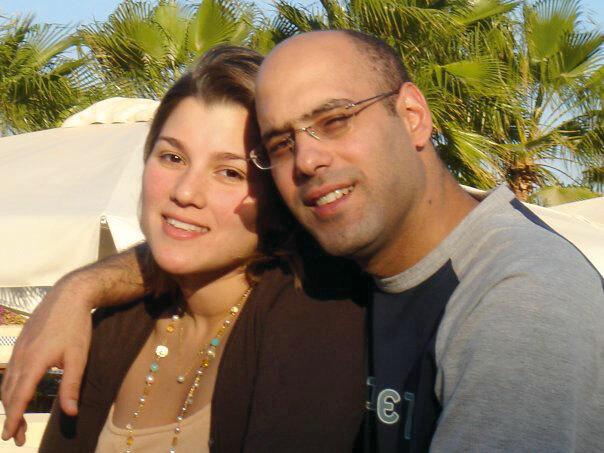 Her passion for helping people is shared by her husband, Amr El Tawil, who is the Chief Executive Officer at Triangle Group, a dynamic corporation whose services range from aerospace to renewable energy. This family oriented couple loves spending quality time with their kids and loved ones, and can be spotted at their homes in Cairo or Hacienda. Nivine and Mohamed have been together for more than 25 years and they are as solid a couple as as ever. Nevine has her hands full caring for their family of six, while Mohammed runs his thriving furniture company, Mobica. When this couple isn’t jet-setting around the world, you’ll find them attending the trendiest parties and soirées or throwing their own. Rawah is a leading mentor at Flat6Labs, and an author and active community worker, as well. 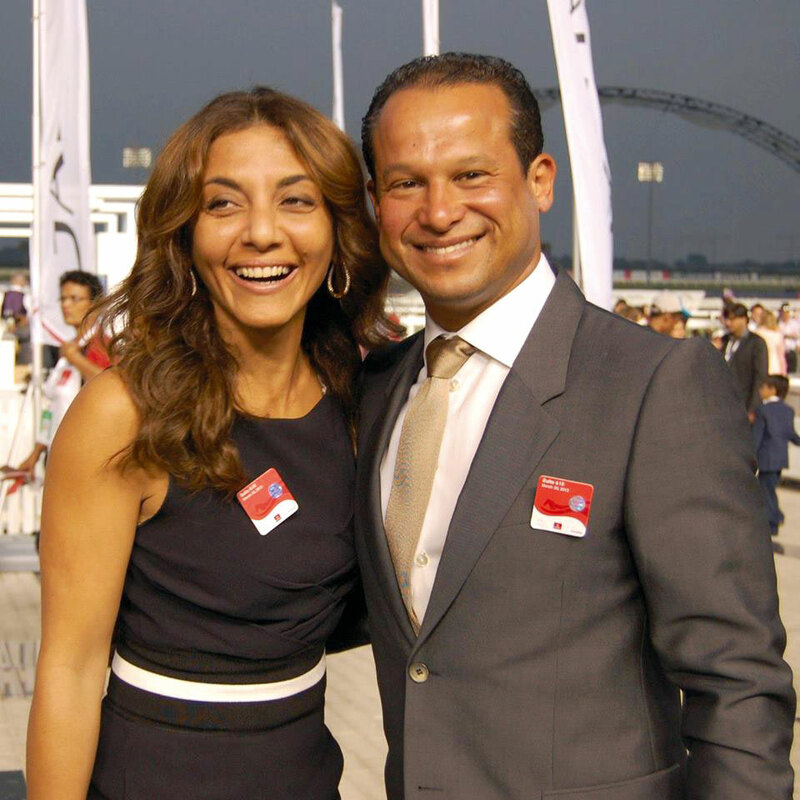 Her husband Ahmed, is the high powered CEO of Marakez, one of the largest real estate investors in Egypt. Together they are an unstoppable couple who manage to live between London and Cairo, raising their amazing kids and loving what they do! Meram is a co-founder and fashion buyer at Ghazl El Banat Boutique, a leading fashion concept store in Cairo. Her husband, Hisham is the chairman of Jubail Real Estate Development, Managing Partner of Triplo Design and Build, and Partner at URBANOM, which is headquartered in Qatar. These two are the definition of a cool and charming couple, while also serving as great role models for their two adorable children. Nihal’s strong presence coupled with her passion for politics inspired her to run for parliamentary elections as well as the Gezira Club Board, and she remains a visible personality in Egypt’s social circles. Her husband, Mohamed is a shareholder in El Rashidi El Mizan, and is the force behind educational institutions such as the Misr International University. This dynamic duo is often seen about town at cool gatherings and events. After earning an MBA from the prestigious London Business School, Maryam is now the business development director at Delta Medical. Helmi is Director on the board of Barcah Group, whose businesses include hotels and real estate, infrastructure and construction. This fun loving couple is now excitedly expecting for the first time, but they still make time for their careers, their families and their friends. Masa is the co-founder of Elements, the thriving furniture store in Egypt. Currently based in Abu Dhabi, her brilliant lawyer husband, Marwan, is currently the Regional Managing Partner at Shearman & Sterling L.L.P. This adorable couple are busy parents of two great kids, who spend their free time traveling with friends and family whenever they can. Lina is a loveable jewellery designer whose delicate Middle Eastern classic designs, with a European twist have gained a lot of attention. Her husband, Hazim, is the CEO of the Post Distribution Company, a partner of the Etisalat telecommunication company in Egypt. When they aren’t hard at work you can catch this couple chilling out with their friends or at home doting on their beautiful little girl. This fabulous mother of two is the fashion designer behind the successful brand, Hebz Boutique, and an international jet-setter with friends around the world. She is also a social influencer who shares glimpses of her adorable family and celebrity friends with her followers. 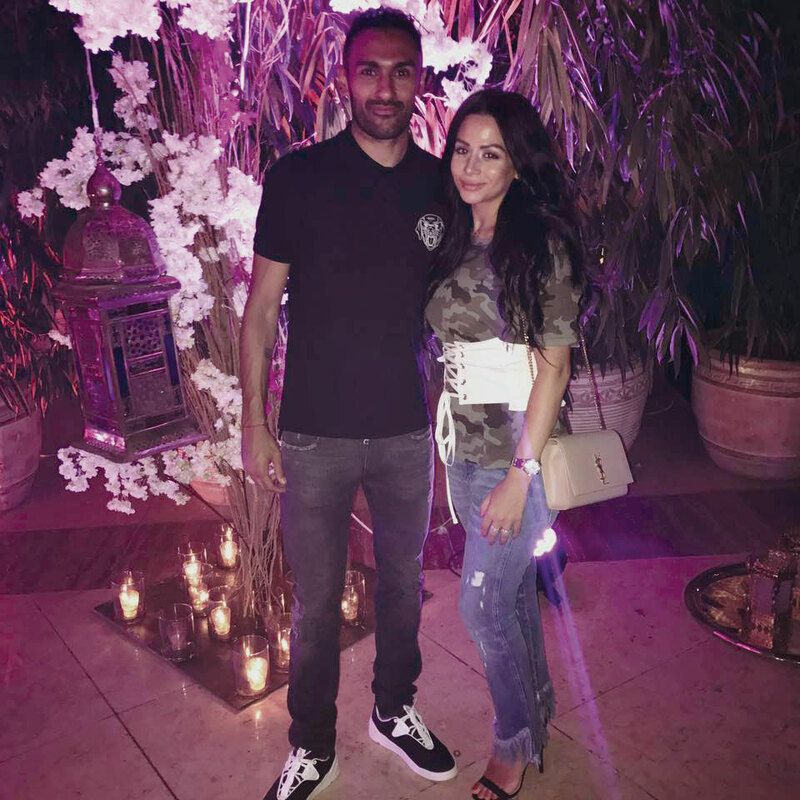 Also a WAG, she lives in the UK with her high profile husband, Ahmed, who is a successful football star, currently playing for the Championship Club Aston Villa. Sara Metwally is the high powered Managing Director at the advertising agency Starcom Mediavest Group, while Tamer is the co-founder of Cairo’s hot spots, Isakaya and Mezcal. The couple recently had their first baby, yet they somehow still manage to juggle their busy careers and their home life. When they do actually get some free time, you can find them doting on their baby or catching up with close friends and family. Heba is flourishing in the corporate world as Proctor & Gamble’s Marketing Director in Egypt. While her hubby Mohamed is a successful banker making his mark in the financial world. When these two aren’t leading their teams to success, they are busy running after their two little ones or at Cairo’s hottest gatherings. Hana is a talented fashionista and jewellery designer who turned her passion for fashion into a lifestyle blog. This proud mother of two launched her own fashion campaign, ‘Hana Goes Local,’ where she proudly promotes homegrown designs. Her husband, Hisham, is Regional Director of Developing Categories at Mars Inc. in the Middle East, Turkey and Africa. 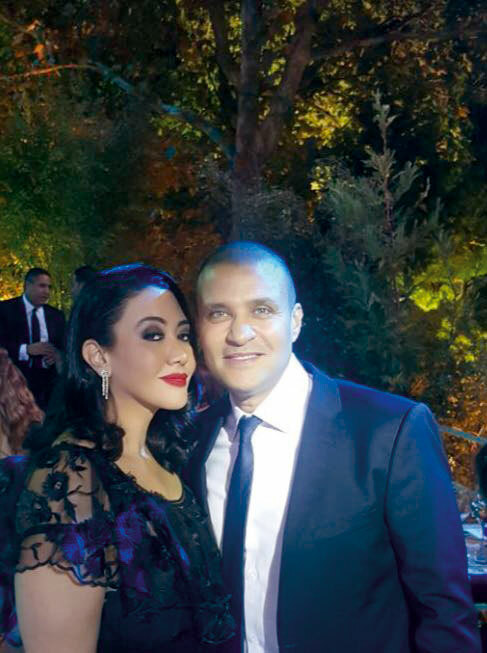 They’re currently living in Dubai, but when in Cairo, this couple is at Cairo’s most exclusive parties. Farida is the proud co-founder of Ghazl Banat, a contemporary women’s boutique in Zamalek that is increasingly popular amongst Egypt’s urban crowd. Mounir is Chairman and Managing Director of Franco Arab Trading Company (FATCO), and Director of Rameda Pharmaceutical. Not only are they each successfully leading businesses, but they are caring and loving parents as well. Nadia’s family is the power house behind Katameya Heights, but she decided to dance to the beat of her own drum. 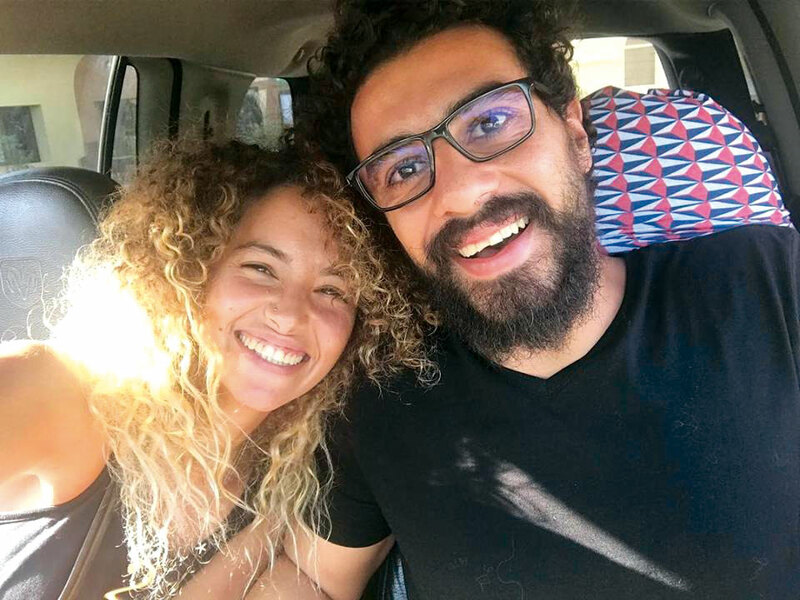 She co-founded Egypt’s first house music production company, Electrum Records with her husband, Ahmed, who serves as the company’s managing director. Nadia also launched a café/ restaurant called BeGoodToYou, which specialises in delicious, healthy food made from all natural ingredients. Ahmed and Nadia share a passion for health and fitness. When they are not busy working or working out, you can catch them having fun at one of the beautiful parties they throw. Nelly is a fabulous mother of two who is making a mark at Astra Travel, an Egyptian travel management company which provides luxurious corporate travel services. 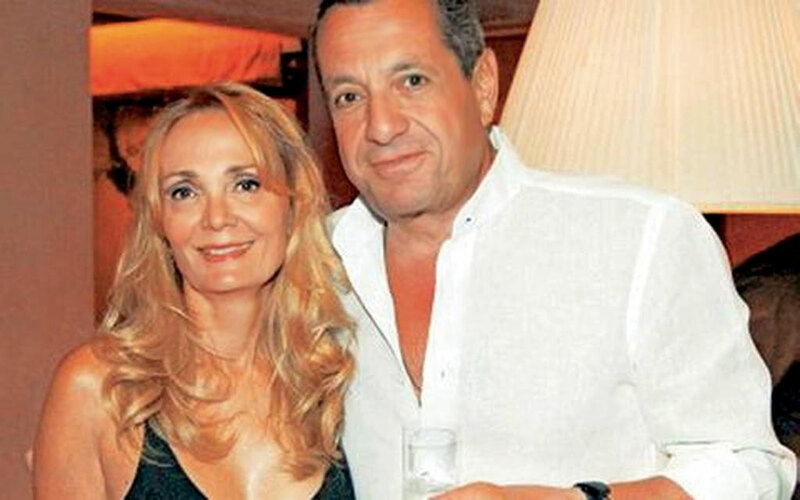 Her husband Ahmed is a jet-setting pilot who is currently the Vice Chairman of Egyptair. When these two are not on a global adventure you can find them spending quality time with their children or celebrating with their close friends. Jehane is an Egyptian-American documentary film director, who is best known for her critically acclaimed films such as Startup.com, Control Room and The Square; the latter earning her a nomination for an Academy Award. She met her husband, entrepreneur turned film producer, Karim while in Tahrir Square as she was filming The Square, and he soon became the co-producer of this important film. While this couple are now busy parents of three adorable young children, you can still often find them at the best film festivals or at Hollywood’ or New York’s hottest parties, and as of late, they helped co-executive produce the Oscar nominated animation, The Breadwinner. A true personification of super mum, Sherihan is the busy Senior Property Specialist at Marakez, and still makes time to take good care for her kids. Ahmed Ebeid, is the Managing Director at RMC Worldwide Partners. Their business mindset, coupled with their unconditional support for each other, makes them a genuine power couple. Abu is the singer behind Egypt’s most popular tune, Talat Daqqat (Three Beats), and is currently releasing songs from his debut album, Sharbat (Juice), which is sure to be a big hit. 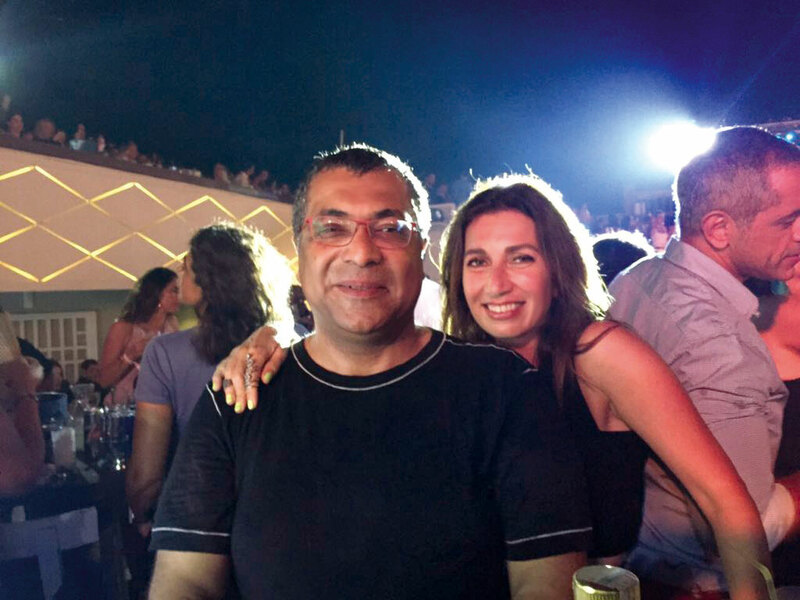 His creative wife, Nehal, a leading interior designer, is the co-founder of Design Point Egypt, one of the most successful design companies in Egypt. With charm, class and a bright future, these newlyweds are one of the most dynamic and down-to-earth couples in town. Sara is a beautiful mother running her own company, Sara’s Organic Food, a sustainable farm that grows organic produce and is famous for its ‘farm-to-table’ motto. 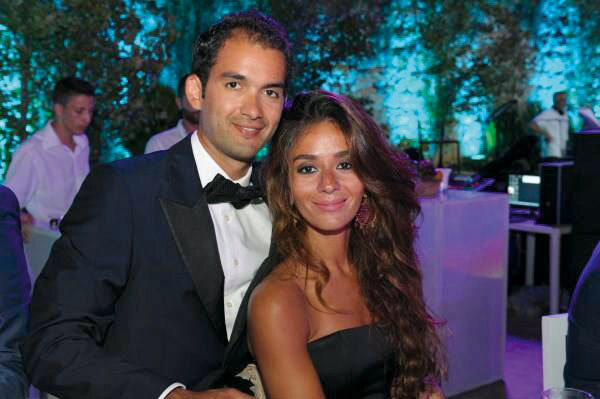 Her equally handsome husband, Karim, runs the most established Egyptian advertising and media company across the Middle East, Tarek Nour Co, with his father. It’s hard to pin this dashing couple down as they split their time between Cairo and El Gouna. Sherin is a thriving interior designer and working mother who studied interior design at the prestigious American InterContinental University in London. 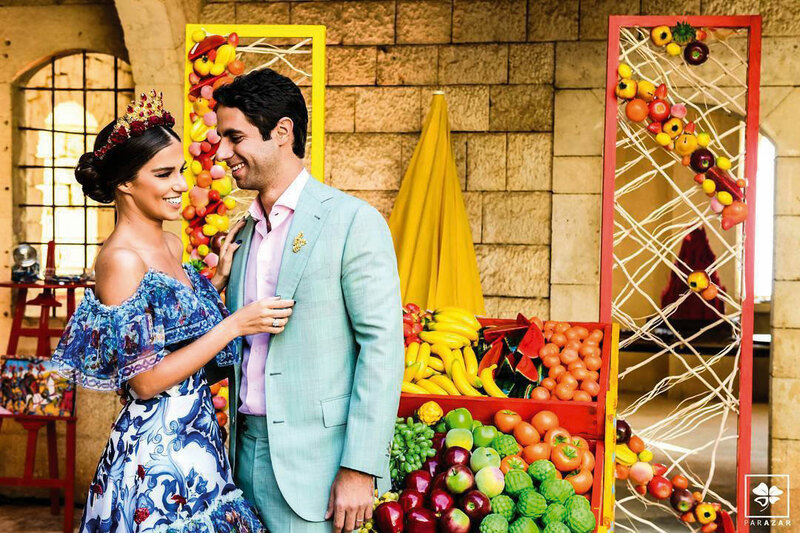 Her husband, a graduate of hotel management from Cornell, the prestigious Ivy League university, is the director of Food and Beverage at the Cairo Marriott Hotel. These two professionals are dedicated to their family as they are to their work and their friends! Nada is the creative force behind Nada Adel Apparel, a luxurious lingerie brand that includes ready-to-wear pieces as well. Tameem is an online sensation with his Youtube videos that garner more than 300K views per video. This dynamic and multi-faceted duo is truly the definition of a creative couple. Yasmine is the founder of Koukla, a flourishing clothes and accessories brand that offers chic, comfortable clothing to fashion lovers. 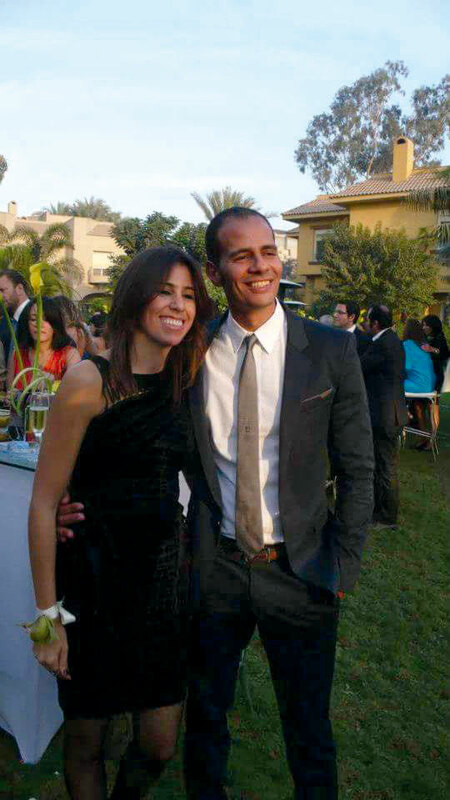 Her husband, Marwan is the Senior Trade Marketing Manager at Vodafone Egypt. This dynamic duo are also fun-loving parents and a great couple to be around. After completing her studies in Toronto, Happy returned to Cairo and worked at EFG Hermes, the leading investment bank in the Middle East. However, she soon followed her true passion and is now a self-employed artists and painter. 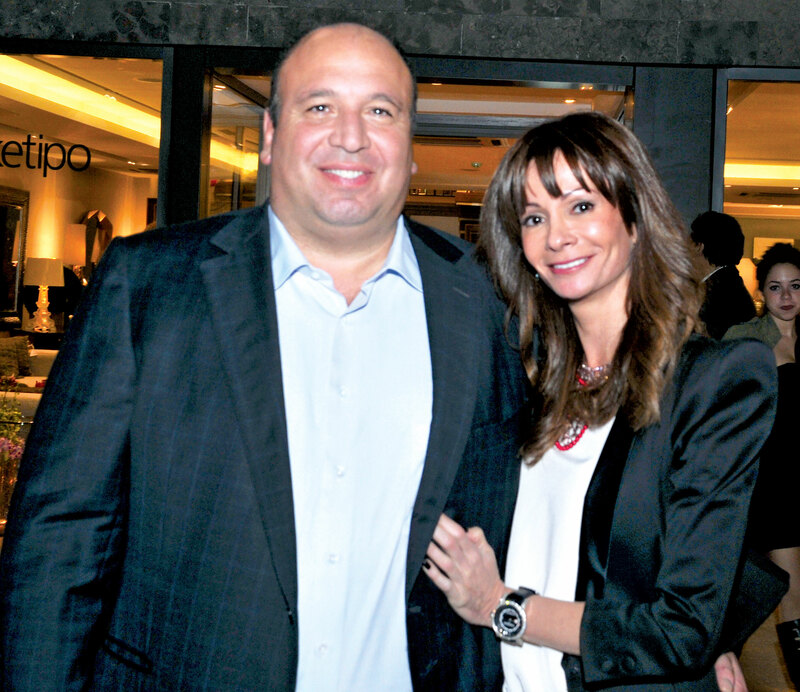 Her husband, Amr, a media mogul, is the CEO of PAM Media Group, the Chairman of Cut Advertising and CEO of D-Media. This creative duo are great supports to one another and together are fantastic parents. Despite their high profile careers, they remain down to earth and fun to be around. Karine is a passionate advocate for healthy living, natural healing and organic food, and a caring mother for two boys. Patrick, has helped revolutionise the hotel and service industries in Egypt and is the man behind hot spots, Andiamo Pizza & Garden Bar and Flambé. When this couple isn’t spending quality time with their adorable family at home, you can see them at any of their popular venues. After studying abroad, Shahd returned to Egypt and pursued a career in her family’s business, the Sadat Group, where she is the Vice President of Business Development. Further challenging herself, she became the CEO of her own company, AluTec, specialising in architectural aluminum works. 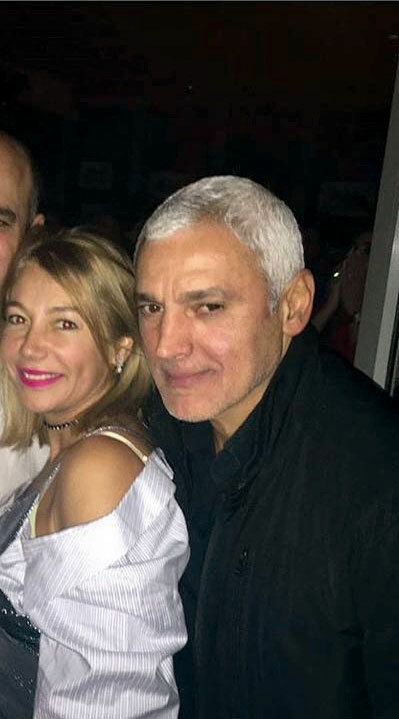 Because one CEO in the family isn’t enough, her husband Bassem is the owner and manager of the Lotfy retail empire, which specialises in footwear. 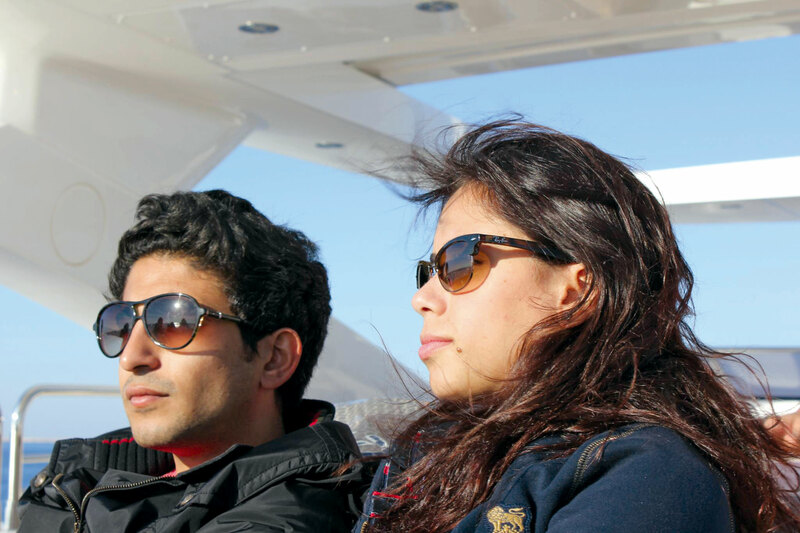 The sky’s the limit for this young business power couple. These two fitness fanatics and parents of two curly haired cuties are one of social media’s most adored couples. They love spending time together, so they also work together. They co-founded The Wellness Log and Jumpsuite, a fitness tech-company based in the United States which was featured in Forbes Middle East and CNN. If they aren’t in Cairo, you will find these two exercising and lounging in the resort town of El Gouna. 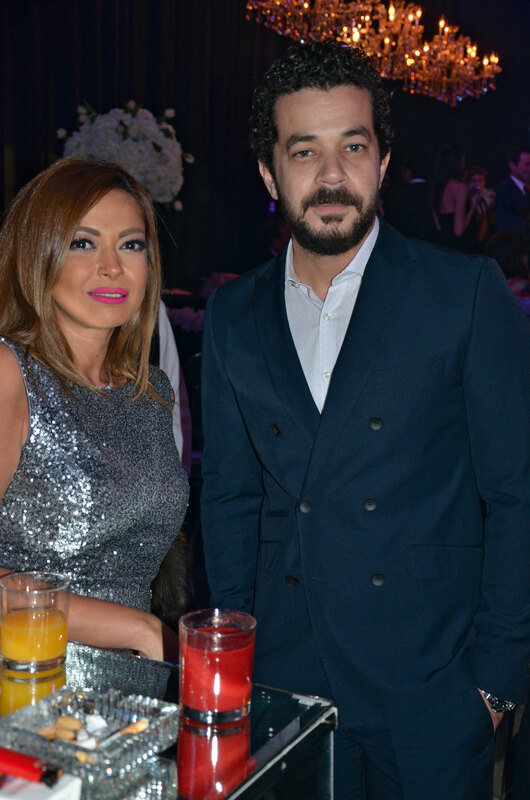 Donia is the fun loving fashion designer with her own couture line called By D, while her hubby Mohamed Helmy, a successful businessman and her partner in crime, is the Vice President at Credit Suisse. Although they each have their own work projects to manage, nothing beats their time with their children and loved ones. You can find them at cool gatherings and parties or catching up with friends in Palm Hills. Lara’s angelic voice has captured the hearts of many in Egypt and the Middle East, amassing hits at a young age. 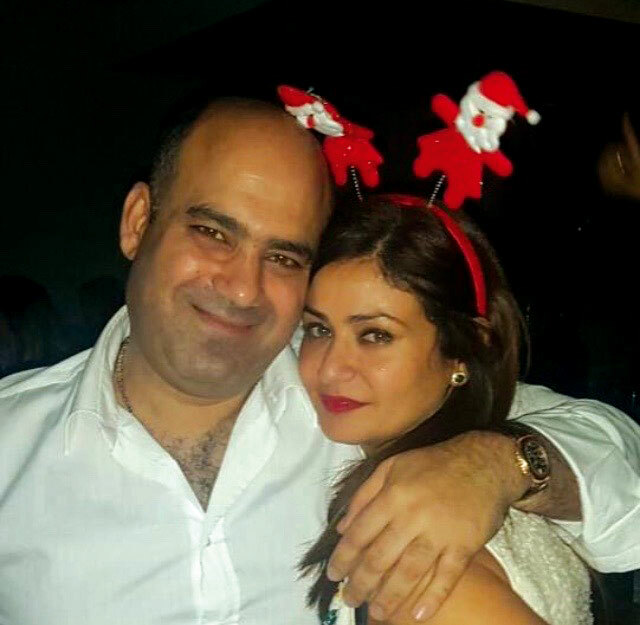 Her handsome husband, Philipe, works at his family business, Katchouni Jewellery, a leading jewellery brand in Egypt. This couple’s three day wedding extravaganza in Lebanon last year was a fairy tale event and one of the most dazzling weddings of the year! This couple are not only life partners, but also business partners who founded Key 66 Productions, a musical production house specialising in original music for everything from advertising campaigns to feature films. Their home is naturally filled with love and music, creating a great living environment for their two boys to grow up in! Malak is a girl boss in every sense of the word, with her own line of bespoke couture, catering to young elites. Malak and her husband Hesham also co-founded Hoxton House, which offers tailored suits for the modern man, as well as a men’s grooming service called Good Barbers. Hesham is also a stakeholder in the successful franchise, Olivo Pizzeria and works in private equity. Busy couple with a busy life! Amina is the charming parent coach, educator and child psychologist changing the world of child psychology in Egypt. Her husband, Maged, is Chief Commerical Officer at Maridive & Oil Services, the lead offshore marine and oil support services company in Egypt. He also serves as Managing Director of El Roda For Agriculture & Bestial Development Co. This couple is a powerful combination of smarts and charm and are great parents to their children. ssala is the lovely Syrian singer who slays those high notes like nobody else. Apart from being an award winning artist, Assala and her husband Tarek have their hands full with four beautiful children. Tarek is a celebrated director, who won multiple awards for his contributions in show business. This is a celebrity power couple you can’t help but admire. Mona and Ahmed are the sweethearts who charmed us all from day one. This, multi-talented and charismatic couple are devoted parents to their young children. Even though they are super famous, this amazing couple have managed to maintain a strong relationship, while each having successful film and television careers. Their future is bright and they are not about to slow down! 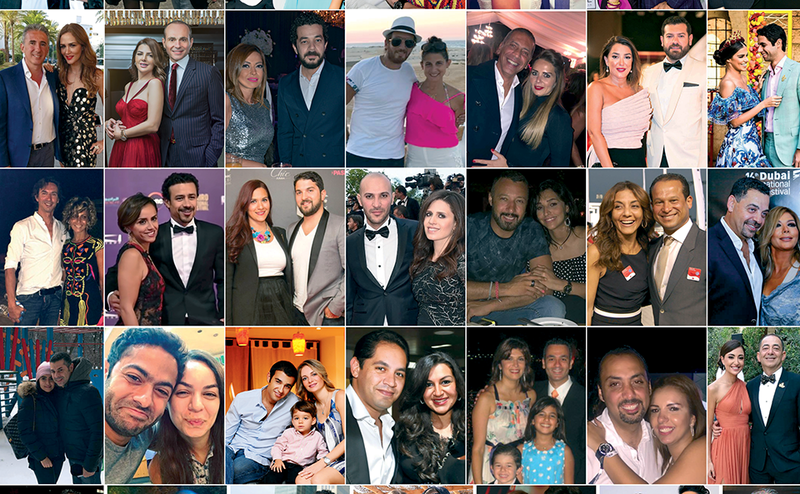 Tamer is the beloved Egyptian singer and actor adored by fans throughout the Arab world and beyond. Last summer he became the first Arab star to have his hand and foot printed at Hollywood’s iconic TLC Chinese Theatre. His wife, the beautiful Bassma, is CEO of her cosmetics brand, Bassma Boussel Cosmetics and her fashion brand, Bassma Boussel Design. This fabulous couple, parents of two adorable daughters, are hard to pin down, since Tamer tours the world for his show stopping concerts. Yet everyone who does meet this charming couple is captivated by their superstar charm. Donia is the multi-talented star who does it all. She got her acting fever from her parents, Samir Ghanem and Dalal Abdel Aziz; while her husband Ramy is the well turned-out TV host of DMC channels. When the sweet couple is not at home having quality time with their daughter, they are turning heads wherever they go. Amy is the youngest daughter of the two comedy pillars, Samir Ghanem and Dalal Abdel Aziz, who has made a name for herself as the leading star in a number of comedies; while Hassan is the leading man and the jokester in many films and TV shows. Although now an established couple, fans have been obsessing over this relationship ever since they tied the knot two years ago. This Syrian beauty and Egypt’s handsome heartthrob had the media buzzing over their wedding news for a whole year! The happily married couple are now taking it slow, focusing on their acting careers and personal projects. They recently fell in love with El Gouna, and can be found there when they are not busy filming or traveling abroad. This dashing duo has all the cameras flashing whenever they attend any red carpet event, as they stand out with their poise and style. Miral is a busy beautiful mum to her two lovely daughters and Tamer is the heartthrob movie star who is an amazing father as well. When not attending the biggest events, they love chilling out with their amazing family and friends. Lebanese Nicole Saba is the Middle East’s triple threat: she sings, dances, and acts and makes it all look effortless. This diva is married to Youssef El Khal, the Lebanese TV presenter-turned-actor who starred in popular TV shows such as Cello and 33 Days. 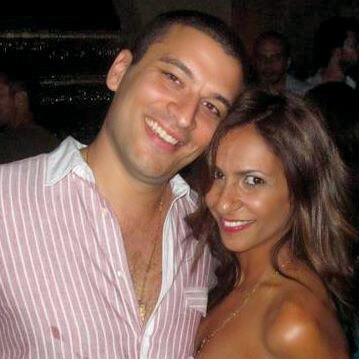 You are most likely to find this good looking couple lounging in Lebanon, or partying it up in Cairo. 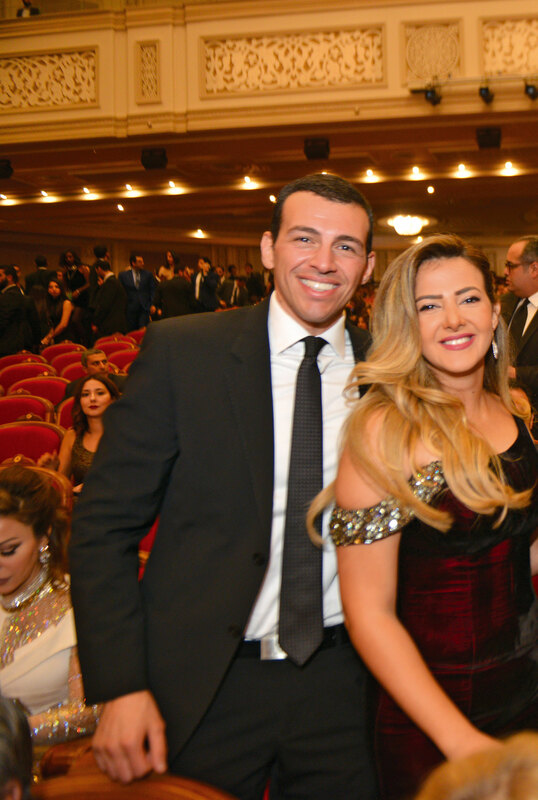 Menna is the pretty daughter of silver screen icons, Mervat Ameen and Hussein Fahmy, while Ahmed is a comedian, who has a number of movies under his belt, and who made people laugh as the Master of Ceremonies at the opening of the El Gouna Film Festival. You can find this beautiful couple at big family and friends gatherings or hosting the coolest get-togethers in town. Dalia Moustafa is every guy’s 90s crush. The talented actress starred in many momentous TV shows and films. 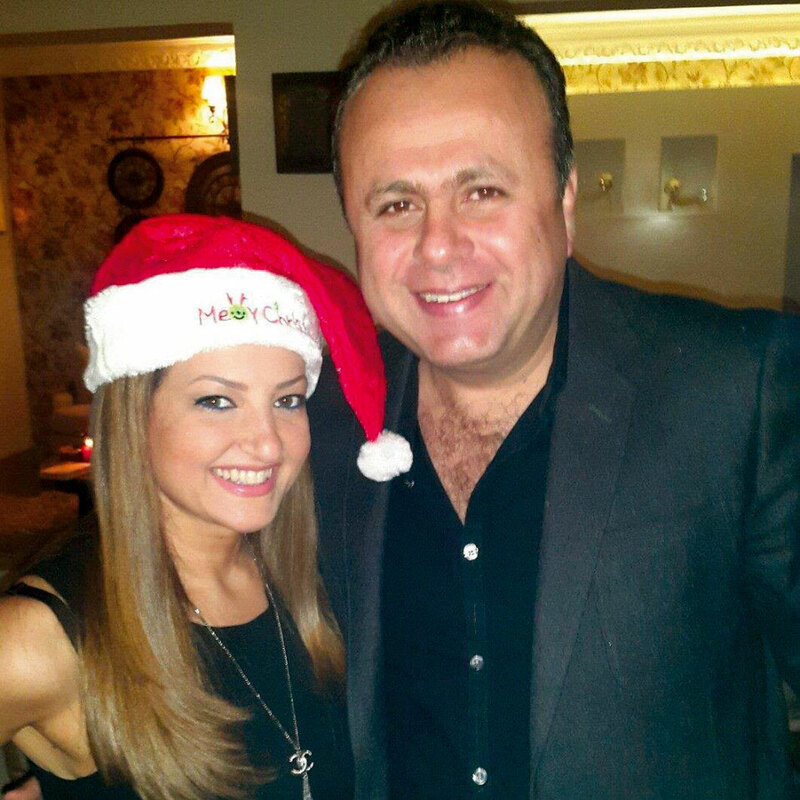 She is happily married to Sherif , another brilliant actor who is now hosting a TV show called Ae’dt Regala. 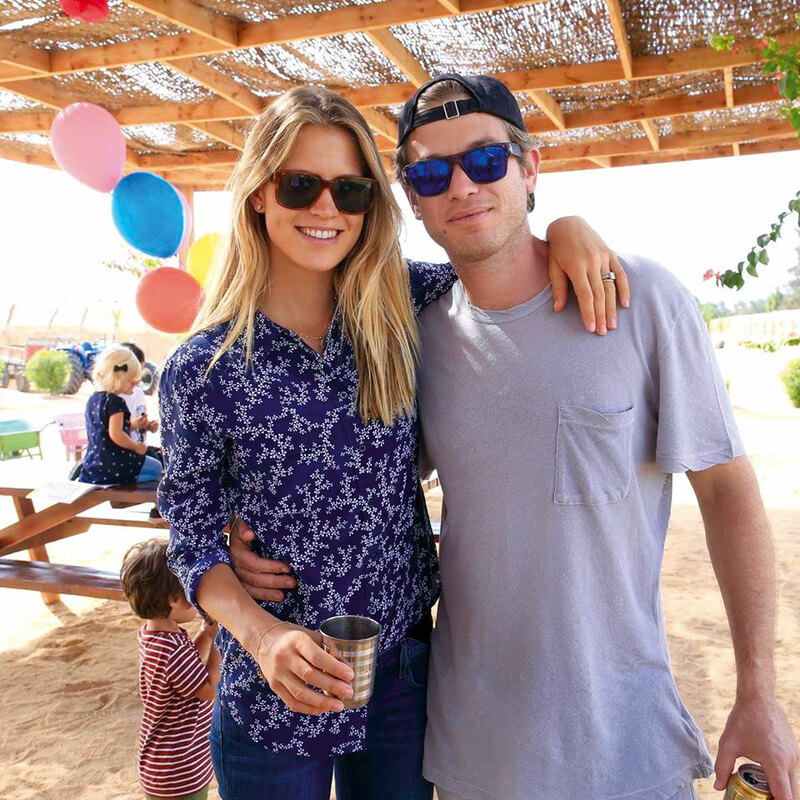 The fun couple is always dining at Cairo’s hottest spots with their friends and their kids. This couple is a classy singing duo, while Ahmed is also a leading TV star. 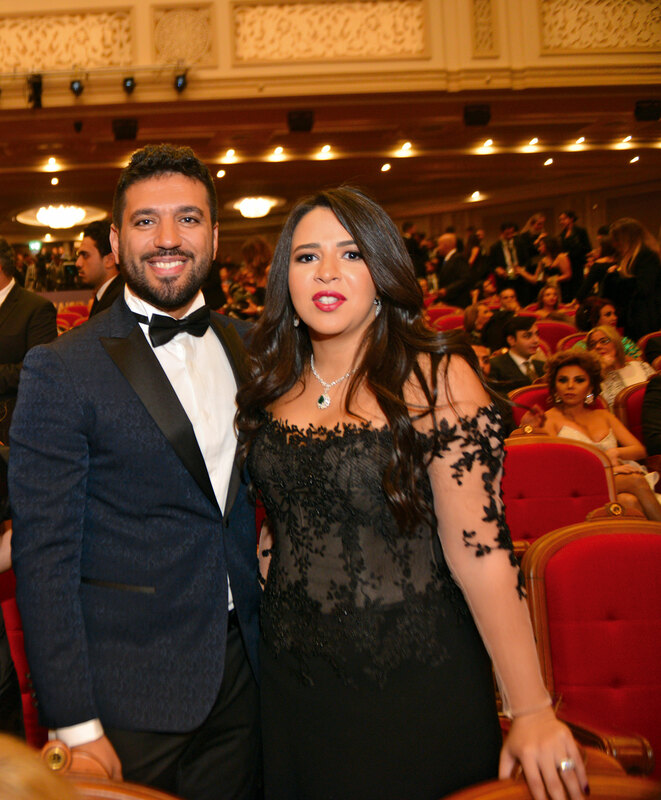 The couple first met at the Cairo Opera House, where Ahmed was an orchestra player and Amira was member of the choir. Now, they have a lovely family and rising careers in the entertainment industry. Whenever you are at a fancy musical event, look out for those two charming personalities. This celebrity couple is crazy about cinema and filmmaking. Sarah studied cinema abroad and is now co-writing films with her husband, Mohamed, whose movies, Clash and 678 were critically acclaimed successes. This couple loves to work together and consider their collaborations an important aspect of their relationship. This couple are the definition of a hip modern family. Ola is a talented actor/director who owns her own directing company and the cool mum of two beautiful kids. Ahmed is a talented actor who starred in Grand Hotel, Segn El Nesa and many more. We can’t stop obsessing over their cute social media posts. No one ever thought those two would be a couple, but here we are! Wafaa is the beautiful and super successful TV host at the MBC network; while Tayem is the good looking Syrian actor who performed in a number of dramatic roles and wowed us as King Farouk. We just can’t get enough of these two! They are the hot couple that makes everybody jealous whenever they’re out. 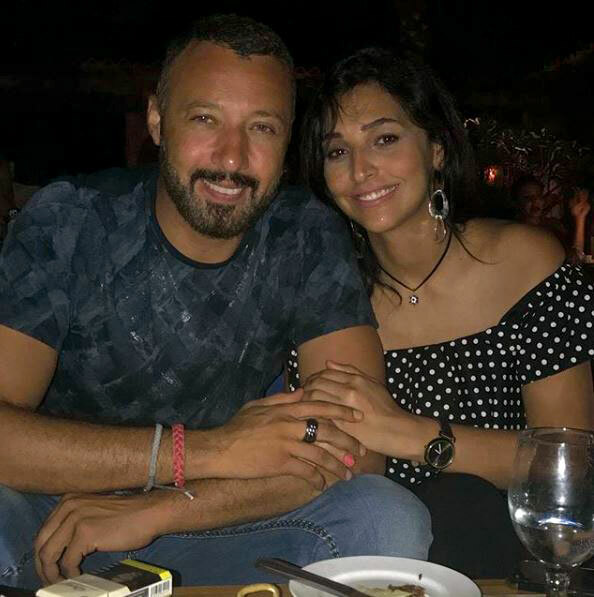 Yasmine is the talented actress who starred in Mohamed Khan’s film, Factory Girl, and who hosted the coolest shows before heading to acting; and Hady is the popular director behind numerous films, TV dramas and commercials. It is always fun to watch the two out and about at the best events.